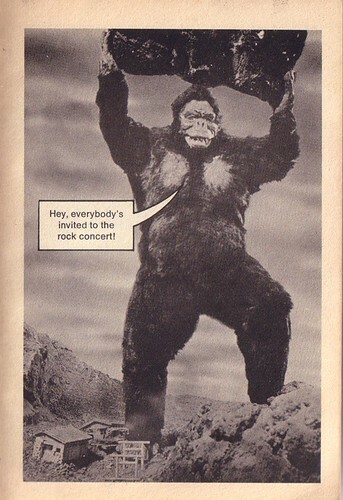 It's only page three and already my appetite for these fumetti type ape photos is beginning to wear thin. "Rock Concert? ", good grief.. Though I can maintain regular output with a trickle of these scans - I may annoy myself into a state of indifference!